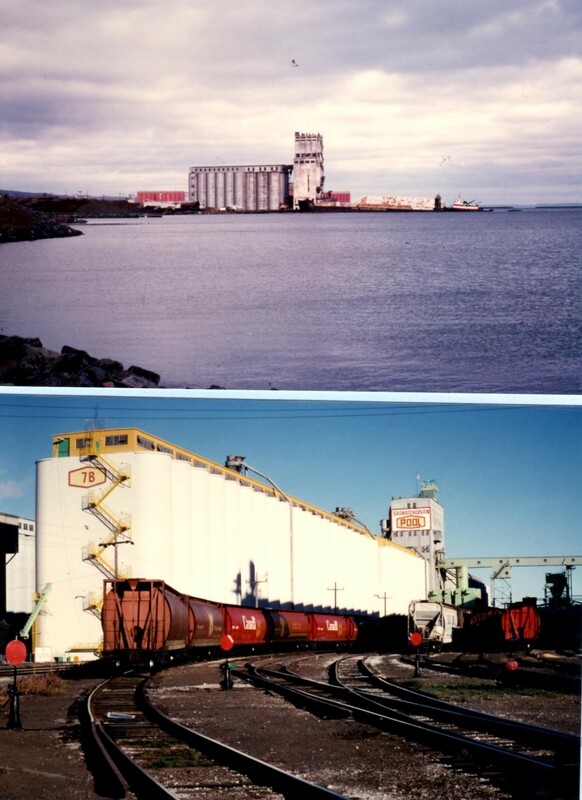 HISTORICAL SIGNIFICANCE: Massive grain elevators have been a dominant feature of the waterfront at Thunder Bay since 1883, when the first terminal was under construction. The earliest terminals built by the CPR were constructed in the wooden crib technique on a pile foundation. By the turn of the century, the inadequacies of the crib terminals forced engineers to experiment with new materials and design concepts for terminal elevators. Steel, tile and reinforced concrete all came into use for terminal elevator construction between 1898 and 1903. By 1910, the plan of the elevator had evolved into four separate structures. The appearance of the typical Lakehead terminal elevator today is the resuklt of these engineering experiments which occurred at the end of the nineteenth century and in the early years of the twentieth.